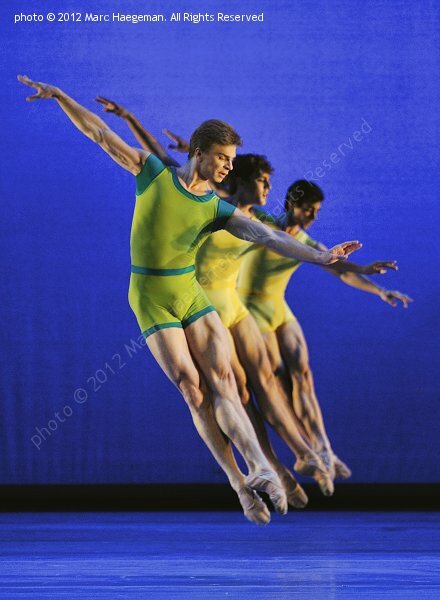 Photo selection from two programmes presented by the San Francisco Ballet on their London stint, at Sadler's Wells Theatre, 14-23 September 2012. Programme A included Divertimento No. 15 from George Balanchine (costume design after Karinska), Symphonic Dances from Edwaard Liang (costume design by Mark Zappone) and Number Nine from Christopher Wheeldon (costume design by Holly Hynes). 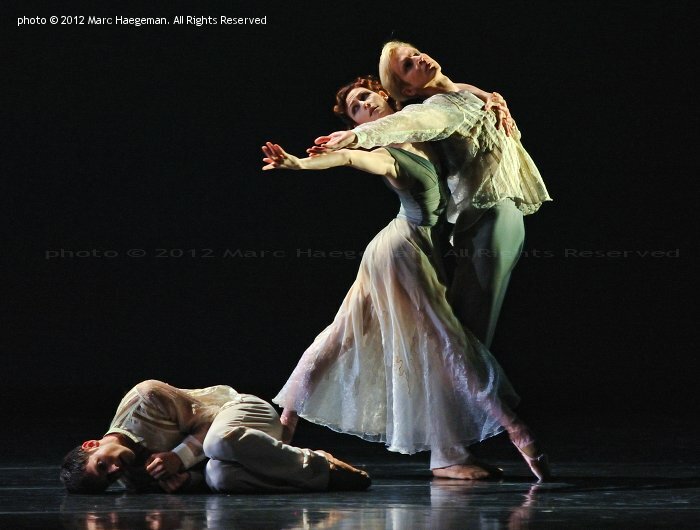 Programme B consisted of Trio from Helgi Tomasson, Ghosts from Christopher Wheeldon (both with costume design by Mark Zappone), and Guide to Strange Places from Ashley Page (design by John Morell). Copyright © 2012 by Marc Haegeman. All Rights Reserved.